We must employ critical thinking and our powers of reason to recognize the problems of global climate change, play the hand we are being dealt, and get to work. 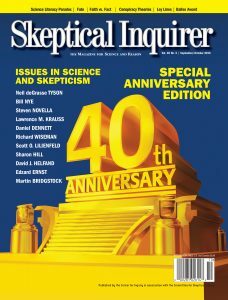 I have come to understand that scientific skepticism is a weird beast that is often difficult to understand, especially from the outside. These are the times that try men’s souls.” This was true when Thomas Paine uttered these words, and they remain true today. We must begin to develop more effective means of disseminating the fruits of our labors to individuals who are skeptical of our skepticism. One of the unwelcome side effects of the mostly wonderful democratization of knowledge that has been ushered in by the age of the Internet is that we are losing consensus on what to consult when settling a bet. Brotherton argues that conspiracy theories, ultimately, are stories not unlike those we have been telling each other throughout the ages.